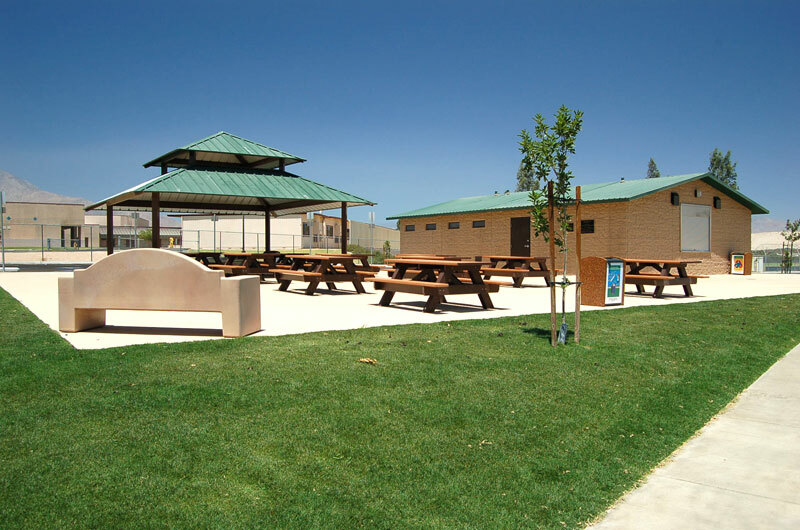 Picnic area and restroom facilities at 30th Street Soccer Complex , Cathedral City, CA. STB Landscape Architects, Inc. was the lead design team for this thirteen acre sports comples for the city. Responsibility ranged from the initial site survey through community meetings, working drawings and construction administration.